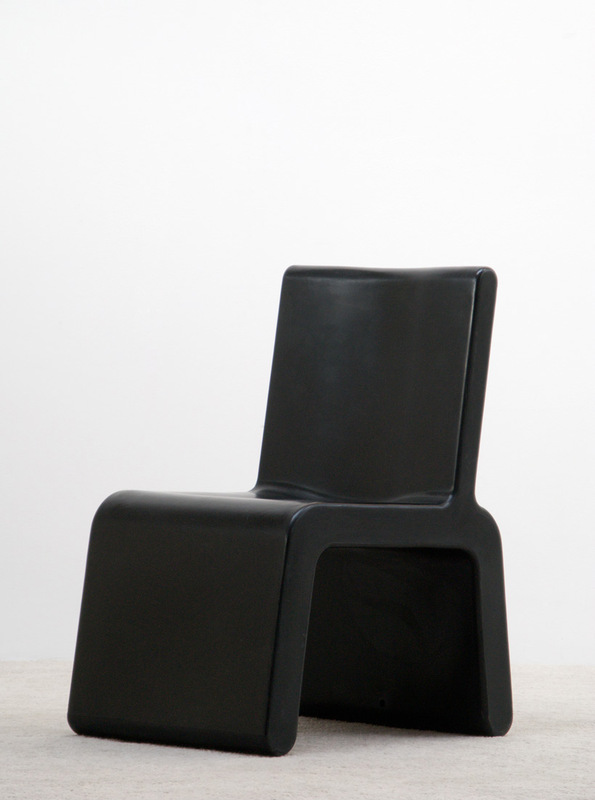 Marc Newson Chair designed for the stores of fashion designer Walter Van Beirendonck in 1996 - 1997. Impressed mark 'W.&L.T. shop concept designed by Marc Newson KISS THE FUTURE'. Literature: Alice Rawsthorn, Marc Newson, London, 1999, pp. 142-149 for a discussion of the W.& L.T. Store concept. For the Marc Newson W.&L.T. wardrobe that matches together with the chair. Chaise conçue pour les magasins du créateur de mode Walter Van Beirendonck en 1996 - 1997 par Marc Newson. Signe 'W.&L.T. shop concept designed by Marc Newson KISS THE FUTURE'. Littérature: Alice Rawsthorn, Marc Newson, London, 1999, pp. 142-149 for a discussion of the W.& L.T. Store concept. Pour l'armoire Marc Newson W.&L.T. que va ensemble avec la chaise.